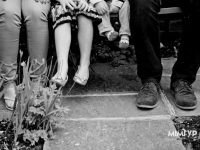 Here are my favourite images from my family photo session with the Brunsdon Family. You might recognise Ahlia from our Bluebell photo session last month. These were taken at the Brunsdon family home in Hartfield which is on the edge of Ashdown forest. When I met with Ahlia’s mum to talk about what we was looking for we discussed different locations and in the end we agreed to have a home photo session as it would make the session both relaxed and personal. The images were in both colour and black and white, but I preferred the these images best in black and white. If you’re considering having some photographs taken and like my work please email me at mimi@mimivp.com. I would love to hear from you.